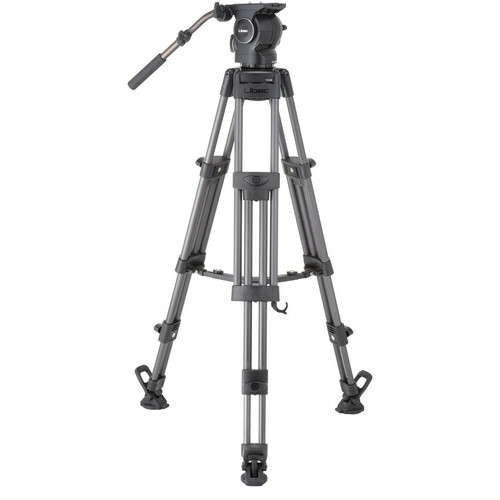 The Libec RSP-850M Professional Aluminum Tripod System offers comfort of operation and the ability to capture quick, slow, vertical, and diagonal shots. It allows precise controllability for capturing every single movement. This system is user-friendly for situations that involve setup, shooting, and transportation. The variable counterbalance system enables the tripod fluid head to accommodate many different types of video cameras up to 55 lb (25kg). In addition, a drag system, low-temperature characteristics, and a rigid tripod will meet your video expectations. Libec recommends using the Libec DL-8B Heavy Duty Dolly.